RAPAPORT... The Investigative Committee of the Russian Federation has launched a criminal probe into last Friday’s flood at an Alrosa diamond mine, where eight workers are still missing. The federal authority is looking into whether there were violations of safety rules at the Mir mine in the Yakutia region, according to a Russian-language statement the committee issued Monday. 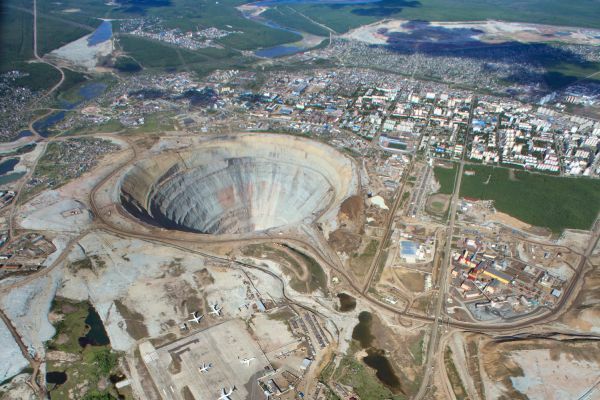 The accident happened when water rushed into the underground mine after a sharp deterioration in mining and geological conditions, Alrosa reported on Friday. Rescue teams have lifted 143 miners to safety, out of 151 who were inside the deposit at the time of the flood. As of Tuesday morning, more than 330 rescuers were still hunting for the remaining eight staff members, the miner said. Investigators will attempt to establish precisely what happened at the site, which accounted for 11% of Alrosa’s production in the first half of 2017. Meanwhile, they have seized related documents and interviewed 94 Alrosa employees, and are currently inspecting the scene of the incident, the committee said.